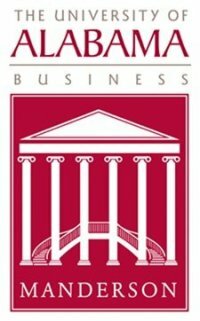 UANYC is partnering once again with the UA Manderson Graduate School of Business. UANYC, in partnership with the Manderson Graduate School of Business, hosted its second annual Student Career Development Panel on Friday, October 21 in Tuscaloosa. A group of UANYC members spoke with 48 current Alabama students looking for career advice and a potential move to the Greater New York area upon graduation. Representing UANYC on this year's panel were Rigo Flores (Senior Analyst, Corporate Lending and Loan Syndications Origination USA, BBVA Securities), Corey Gibbs (Executive Managing Director, Ticket Solutions, Inc.), Reese Goode (Account Executive - Sports Sponsorships, Zenith Media), Christopher Hollinger (Vice President - Capital Markets Finance, Bank of America) and Heath Terry (Managing Director, Equity Research - Internet, Goldman Sachs). Rob Norwood, a junior majoring in finance and a student assistant for the Crimson Tide Foundation, coordinated a Bryant-Denny stadium and facilities tour and tickets to Nick at Noon the same day as the panel. The Nick at Noon luncheons are usually held either at Indian Hills Country Club or a location on campus and feature football head coach Nick Saban talking about the upcoming game for approximately 30 minutes.